Which chilly bins keep their cool under heat? We tested chilly bins with a capacity of between 58 and 70 litres to see how long they kept ice frozen and their contents chilled: essential if you’re relying on one as a camp refrigerator or for preserving your prize catch on an extended fishing trip. Find out how the chilly bins handled a temperature-controlled room set at 32°C while packed full with ice and bottles. Snapshot: This 65L chilly bin has a drainhole and a flat top but lacks some features. How well does it keep its cool? Snapshot: This 70L chilly bin has a drainhole, secure clasps and a padlock space. How well does it keep its cool? Snapshot: This 68L chilly bin has a drainhole, secure clasps and a flat top. How well does it keep its cool? Snapshot: This 67L chilly bin has a drainhole, a flat top and can fit tall bottles. How well does it keep its cool? Snapshot: This 70L chilly bin has a drainhole, secure clasps and a flat top. How well does it keep its cool? Snapshot: This 70L chilly bin has a drainhole, secure clasps and a basket. How well does it keep its cool? Snapshot: This 58L chilly bin has a drainhole and wheels. How well does it keep its cool? Some "bells and whistles" make your chilly bin more user-friendly. Wheels make it easier to move the bin around. A drainhole makes clean-up quick and easy. A bin with an internal height of more than 33cm means tall bottles can stand up comfortably with the ice packed around them. A chilly bin with a flat top is great for use as a table or seat. 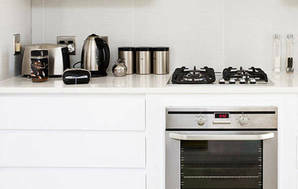 Internal dividers and baskets help maximise the use of a chilly bin’s space. They can also keep fruit and other food away from the ice (where they can get spoiled) yet cold enough to stay nice and fresh. A padlock space means the padlock is neatly tucked away. Secure clasps are great for keeping the lid in place. But check that they’re easy to use – and don’t forget to read the instructions for using them! We tested chilly bins in our refrigeration lab. Packed full with ice and bottles, the chilly bins were left in a temperature-controlled room set at 32°C. We recorded how long it took the contents to reach 2°C (by which time all the ice had melted), then how long it took the temperature to rise to 8°C (the safe temperature for chilled food). We tested bins sized between 58 and 70L. The last of the ice in the Techniice Signature 70L clung on for more than four days, while the rest managed about three days. Once all the ice had melted, the contents inside the bins took about a day to heat up to 8°C, showing chilly bins work best as an ice-filled freezer, not a fridge. In use, we’d expect ice to last longer as temperatures are unlikely to remain as high as our test conditions for so long (in use, keep your chilly bin in the shade to stop it getting unnecessarily hot — there’s a reason so many of these boxes are white). 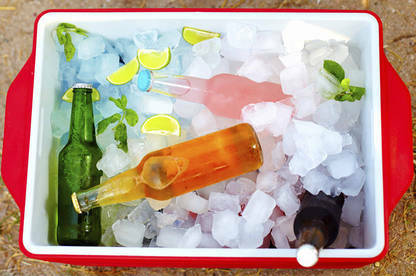 Tip: using salt ice (also known as flake ice) in your chilly bin will keep contents frozen even longer. Many of the models we tested are available in sizes from 25L to 125L and more, with Icey-Tek selling bins up to a whopping 300L. Larger chilly bins perform better, as they hold more ice, which takes more heat to melt (as long as you fill them right up with ice).